Every story, whatever the genre, happens somewhere. Every story involves characters whose background has helped make them what they are. 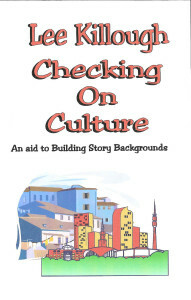 This chapbook provides a structured approach to aid the author in creating the place and characters, a checklist of fifty-two categories Lee developed for writing her own books. The checklist and its accompanying commentary and examples is adaptable for all genres, whether the author wants to construct an entire civilization or just needs a reminder to consider the details in a setting close to home.